Callum Devine in his Opel Adam. Claudy man Callum Devine and co-driver Keith Moriarty wrapped up the Clonakilty Blackpudding Irish Tarmac Championship R2 title at the weekend. The duo secured another class win at the Acesigns Cork 20 International Rally, the final round of the 2016 Championship. 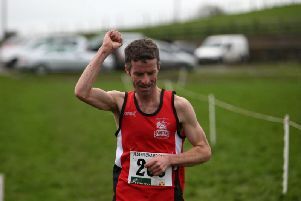 Claudy man Callum Devine who has won the Clonakilty Blackpudding Irish Tarmac Championship R2 title. The young Opel Adam driver emerged from the tough two-day Cork event with the win after a long battle with class rival Marty Gallagher in his Peugeot. The event began with Devine holding a comfortable class lead after the opening four morning stages, but the afternoon stages allowed Gallagher to come back at the Opel driver to take the overnight class lead by just 0.2 of a second. Day two began with Gallagher carrying the momentum and stretching his advantage to 7.8 seconds. Some tweaks to setup change in the midday service saw Devine reduce Marty’s lead to 1.3 seconds, but stage 13 proved to be unlucky for Gallagher who picked up a puncture near the end of the test and handing the class lead to Devine with 1 stage to go. This allowed Callum and Keith to reduce their pace and get through stage 14 to take the class and championship win. Speaking before at the finish ramp a delighted Callum said: “I’m thrilled to take the championship here in Cork, this has been a great event for us over the years, taking my first win here in the juniors three years ago. “We’ve had a great year with some nervous moments along the way but we have always kept going and never given up. “With class wins in 6 of rounds it has been a great year with some great competition from the other guys in the class to keep us on our toes. “After winning a Billy Coleman nomination earlier in the year, to win the Irish Tarmac Championship R2 class this year is another major milestone for me and I’m now looking forward to 2017. Keep up to date on Callum’s plans for 2017 on Twitter (@CallumDevine27) and Facebook (callum devine rallying) or at www.callumdevine.com. Callum is competing this season with the support of Fyth.co.uk, Premier Car Parts, Springhill Springs and A. Daly Groundworks.